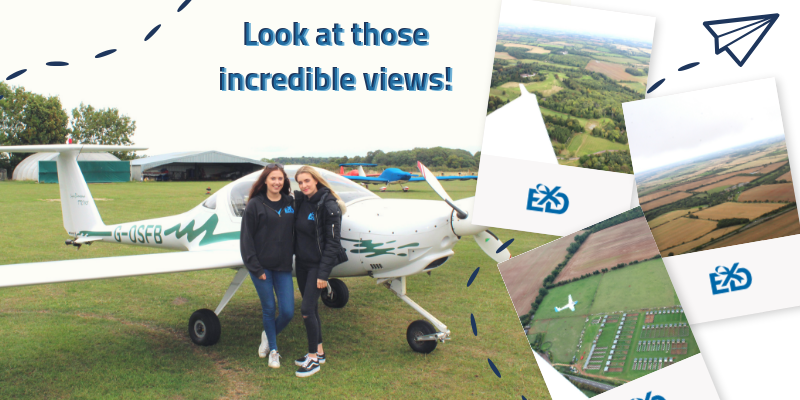 If you are looking for a thrilling aerial adventure, whether for you to enjoy yourself or as an experience gift for a daredevil friend, look no further than this sensational 20 Minute Motor Glider Trial Flight in Oxfordshire! Motor glider flight is like nothing you have ever experienced before; the feeling of flying through the sky and coasting through the clouds as free as a bird is simply spectacular. The size and manoeuvrability of the motor glider means that you can experience a unique sense of freedom in the sky - one that will provide you with an adrenaline buzz that will last all day! At Oxfordshire's top flying centre near Chipping Norton you will be learning from expert instructors and will be surprised at how quickly you can pick things up. After a thorough safety and instruction briefing you will climb aboard a dual-control, two-seater motor glider - and then it's time for the REAL fun to begin! 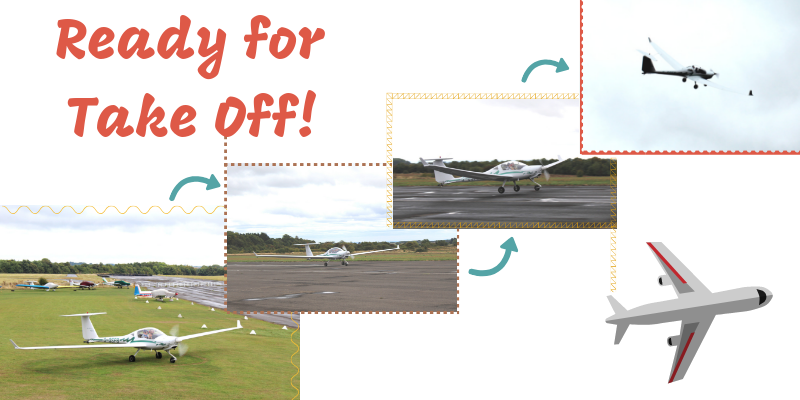 Your instructor will perform the take-off, and then once you’re safely up in the air you can have a go at flying the glider yourself, with your instructor guiding you all the way. You will fly for twenty exhilarating minutes, after which your instructor will land the glider back down ... and we bet that you will be utterly hooked by the time you step back onto solid ground! So whether you want this brilliant experience to be a step towards obtaining your own pilot's licence, a special gift for a loved one, or just a one-off activity to experience the sublime magic of flight, you can guarantee that this is an aerial experience you will never forget! The Motor Glider Flying Trial Lesson in Oxfordshire is available all year round, from 08:00 am to 19:30 pm, subject to availability. If you are over these then please call, as we may be able to accommodate. There are no lower or upper age limits for learning to fly; however you cannot fly solo until you are 16 and you cannot be granted a licence until you are 17. 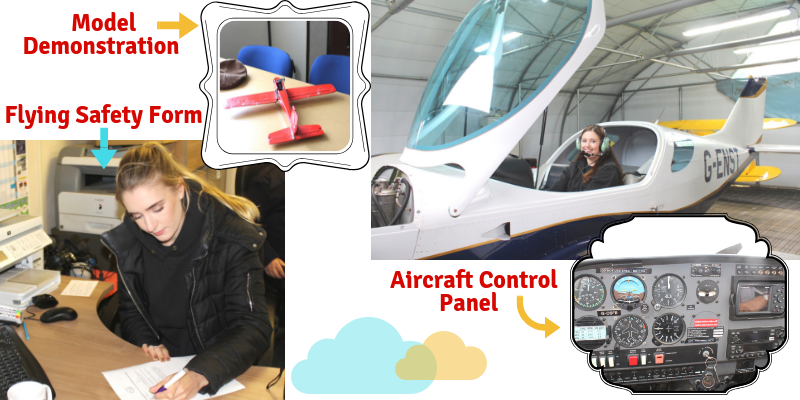 You should allow an hour for your Motor Glider Flying Trial Lesson in Oxfordshire - this includes 20 minutes of flying and also instructions and a safety briefing. Participants: The 20 Minute Motor Glider Trial Flight in Oxfordshire is for 1 participant. This is an individual experience, with only one passenger per flight. Spectators are welcome to come and view your Motor Glider Flying Trial Lesson in Oxfordshire. There are snacks available to be purchased at the aerodrome. You should wear sensible, warm and comfortable clothes for your Motor Glider Flying Trial Lesson in Oxfordshire, such as jeans and trainers, and it's also a good idea to bring sunglasses. No high heels, skirts, or jewellery. Headsets are required for flight and will be provided by the centre. The Motor Glider Flying Trial Lesson in Oxfordshire is weather dependent. If you are unsure about the conditions on the day, you should call the centre to confirm. If adverse weather means that your flight has to be cancelled, you will be able to reschedule at a date suitable to you. I was given this experience as a birthday present as I am an adrenaline junkie at heart! I couldn't of asked for a better gift! My family came to watch me and the team at the venue were so friendly! I was able to take the controls and fly the plane myself which was crazy! I myself didn't go up, but my dad did and has been something he's wanted to do since I can remember. He had such a great time and was so pleased. Time ran over whilst he was in the air which added to it as he got more time in the sky! Would highly recommend! 20 Minute Motor Glider flight. I had a fab day! Despite my confirmation email confirming Monday at 11am, they were expecting me Sunday 11am! Eventually got to fly about 2.30pm Monday afternoon. Didn't matter I had nothing else planed for the day. Lovely people, great day. Would recommend it to anyone. Just check they have your booking correct. I would have given them 5 if the booking was correct. Brilliant! The friendly people at Enstone made a life times wish very special. Being from an age where boys were interested in anything mechanical, I found the instruction very informative. Having spent hours playing with Flight Simulator, that just doesn't compare with the experience of flying a real plane. On the 8th September, Gemma and I woke up to a very wet and very windy Saturday morning. Usually, this would mean a movie day, but instead, we were up in Oxfordshire ready to start the day with a Motor Glider Flight! We anxiously called Oxfordshire Sportflying to determine whether we would still be able to fly despite the conditions. Michael answered and was extremely positive about the situation. He advised us that he had been checking the weather, and believed it would brighten up by midday. So straight after breakfast, we were in the car ready to head up to the centre in Chipping Norton. Michael was kind enough to meet us at the entrance, so we could follow him up to the airfield a short drive away. As we approached the airfield, a Motor Glider was getting ready for take-off. Gemma and I were immediately struck by how small yet speedy these little Motor Gliders were! Although nervous, the adrenaline buzz was quick to take over, and we couldn’t wait to have our turn flying up above the clouds! Michael led us up to the Control Tower where we were to take a few photos, and film some of the planes taking off. Here, we discovered a little more on how Air Traffic Control Communications work. It was then we met our pilot for the experience. John was very friendly and put both of us at ease. His knowledge and experience were also a great indicator of how safe and how fun this experience would really be. The clubhouse is situated onsite, and has all facilities needed for the day: a small office area to sign paperwork, a seating area for friends and family spectating or anyone waiting to fly, and an area for the pilot to talk to customers about their flight using a model Motor Glider. John showed Gemma and I into the clubhouse to explain all the safety procedures for the flight, and what we needed to do whilst up in the air with the controls. Gemma’s eyes were expanding by the second as she began to realise we were actually going to be flying the plane ourselves! Finally, it was time to fly! Motor Gliders are only 2 seaters, so it was up to us who went first. Gemma bravely stepped up and was escorted out to the plane for her flight. Watching her take off was incredible, and I couldn’t wait for my turn! As Gemma landed, I could see the huge smile spread across her face from a mile off! We switched places, and before I knew it, I was sat in the pilot’s seat ready for my experience to begin. John kept in contact with me throughout the whole flight through a headset (which you can see me wearing in the first image!) This allowed me to tell John how I was feeling, while John told me what to do next. As we took off from the ground, the feeling was incredible: a mixture of uncertainty, nervousness, and a whole lot of excitement! Once comfortably in the sky, we zoomed past the beautiful sights of Oxfordshire including a glimpse of Blenheim Palace. The beautiful scenic views were astonishing and something I will never forget - we even saw David Beckham’s new country home! At this point, John turned to me and asked whether I was ready for a go with the controls... Yes! The control stick is very sensitive, and the slightest nudge will adjust the movement of the plane. John let me know that in order to stay steady you want to be able to see a slight bit of land above the nose of the plane. I followed his instructions and in no time, I was flying us above Oxfordshire! As my time in the sky was coming to an end, John showed me a final trick the Motor Glider can do… Gliding! (Did you already guess by the name?) I loved this part of the experience; It was a truly unique feeling, and the soft, gentle floating sensation of gliding allows you to experience the flight in a different way! Back down on the ground, I was all smiles for the camera! I couldn’t believe what I had just completed - an experience I definitely won’t forget in a hurry. 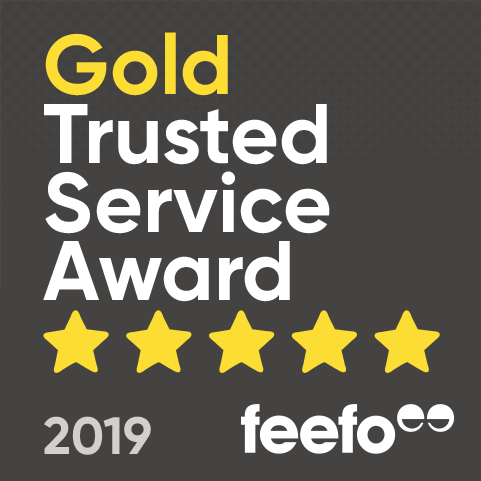 A huge thank you to Michael, John and the team for making this an incredible day for Gemma and I.